US network HBO has defended plans for a new drama that is set in a world where slavery is still legal. 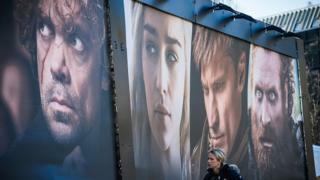 The show, which will be created by the duo behind Game of Thrones – David Benioff and DB Weiss – has come in for criticism since it was announced. TV fans took to social media using the hashtag #NoConfederate during Sunday’s airing of Game of Thrones. The broadcaster said the project is still “in its infancy”. Its statement said: “We have great respect for the dialogue and concern being expressed around Confederate. We have faith that [writers] Nichelle [Tramble Spellman], Dan [Weiss], David [Benioff] and Malcolm [Spellman] will approach the subject with care and sensitivity. Sunday’s online campaign against the project was started by April Reign, the activist behind #OscarsSoWhite. There has been criticism since the plans were announced earlier this year, with some arguing such a show shouldn’t be made at all and others criticising the fact that it is being produced by two white men. HBO has said the series will “chronicle the events leading to the Third American Civil War”. The broadcaster said it “takes place in an alternate timeline, where the southern states have successfully seceded from the Union, giving rise to a nation in which slavery remains legal and has evolved into a modern institution”. Game of Thrones has recently been criticised by Star Wars star John Boyega for not casting enough black actors.